Online security guru John McAfee once famously declared that hacking into computers is so easy, even a grandma could do it. 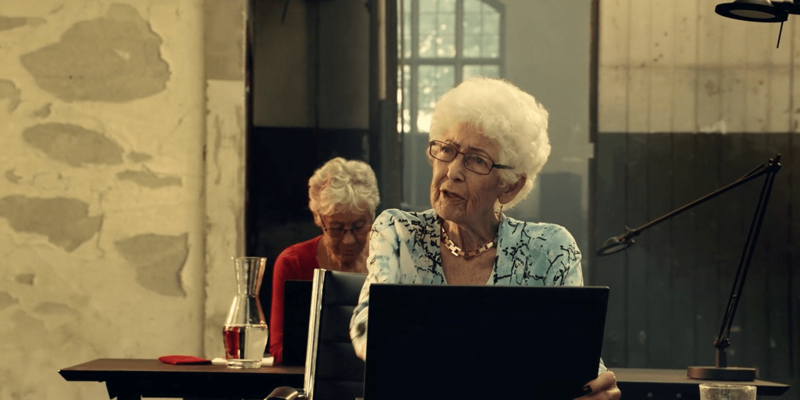 Danish ISP Stofa put that assertion to the test in a new film touting its SafeSurf program, training six real grandmothers in the art of cyber invasion. These ladies do struggle a bit at first. One gran isn’t too sure how email works. Another briefly mistakes a traditional notebook (the kind you write in with a pen) for her laptop. “Even though cybercrime has been talked about vigorously in the last couple of years, ordinary people still find it unlikely that a hacker will ever target them personally,” says Robert/Boisen & Like-minded creative lead Niklas Hultquist, who helped develop the campaign. Drawing inspiration from McAfee’s maxim, “We thought that if we could actually get a grandmother to perform a successful hacker attack, we had a strong message to build on, illustrating the fragility in modern cybersecurity,” Hultquist says. The grandmas ranged in age from 68 to 92, and their 10 hours of intensive training took place over two days. Instructor Jan Spansberg, a security expert, really shines, displaying the perfect mix of authority and amusement, while never coming off as harsh or impatient. The technical instructions were scripted, but his interplay with the seniors was spontaneous.